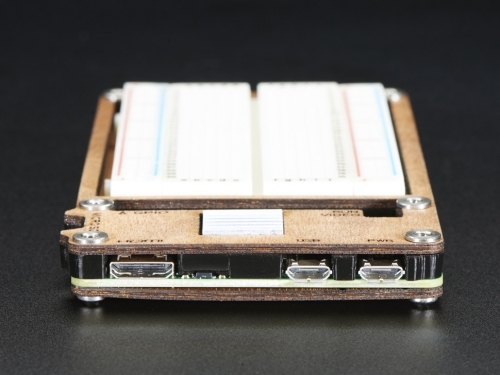 Wrap your new little Raspberry Pi Zero in protective and elegant wooden plates with the Zebra Zero Plus! 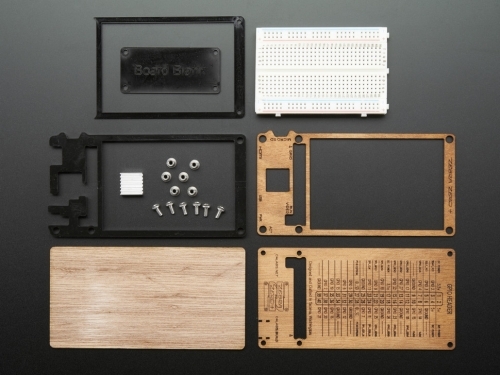 The Zebra Zero Plus includes a breadboard for prototyping making this a nice and full-on prototyping platform for you and your Pi Zero. There's also a GPIO pin header reference chart etched on the back for reference. 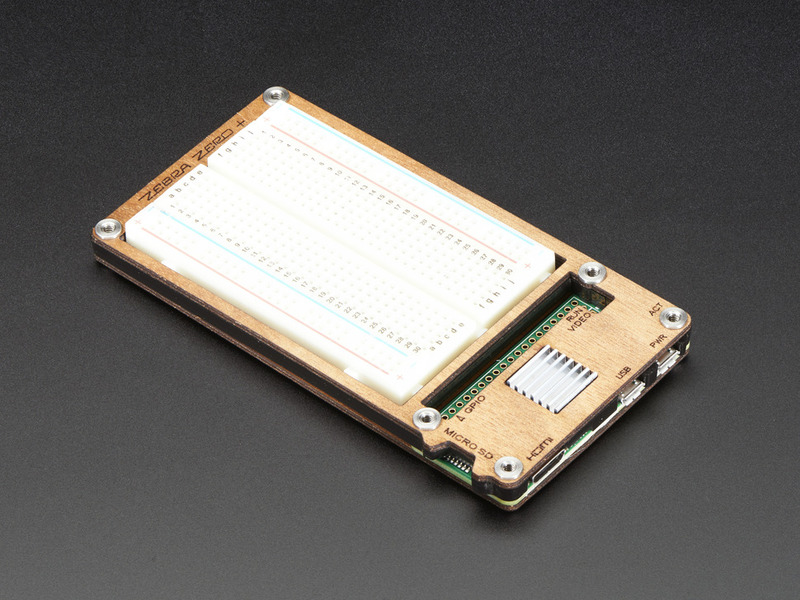 As is the case with all of our favorite enclosures, all of the pins on the Pi are easily accessible from the top! We also have the much smaller and more minimal Zebra Zero case! Note: As of August 2nd 2016, this enclosure now fits the Pi Zero v1.3!